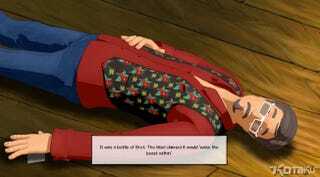 It always ends up with murder in Broken Sword. It's been a long time since we've had a Broken Sword sequel, but thanks to a successful Kickstarter campaign we can now all gently point & click our way through a spate of horrible murders in Broken Sword 5: Serpent's Curse. It's obvious this sequel takes its cues from the original 1996 classic, which is a good thing. The series seemed to have lost its way during the previous decade but Broken Sword 5: Serpent's Curse seems to be trying to go back to its roots. The 2D background art looks just lovely, even if the 3D pre-rendered characters don't always blend in too well. The first half of Broken Sword 5: Serpent's's Curse is available now on Steam. The second half will be out in January. Don't worry, you only have to pay once.